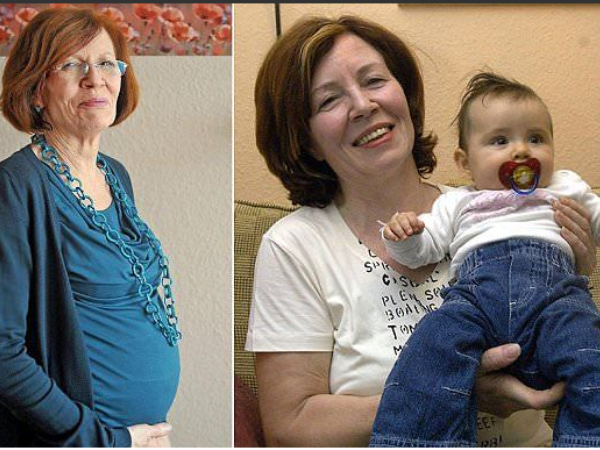 65-year-old mother of 13 pregnant again – with quadruplets! A 65-year-old woman with 13 kids is reportedly expecting another four babies. Annegret Raunigk, from Berlin, Germany has revealed she’s expecting quadruplets because her youngest daughter (9) wanted a little brother or sister. According to German broadcaster RTL, she’s been trying to get pregnant via artificial insemination over the last year and a half. Annegret then became pregnant with four embryos. She was shocked but never considered reducing the number of embryos. “After the doctor discovered there were four, I had to give it some thought to begin with,” she said. The pregnancy had so far been without any major complications and that if everything went well, the babies were due in the summer and that Annegret would be the world’s oldest mother of quadruplets. Annegret made headlines in the country a decade ago when she gave birth to her 13th child when she was 55 years old.